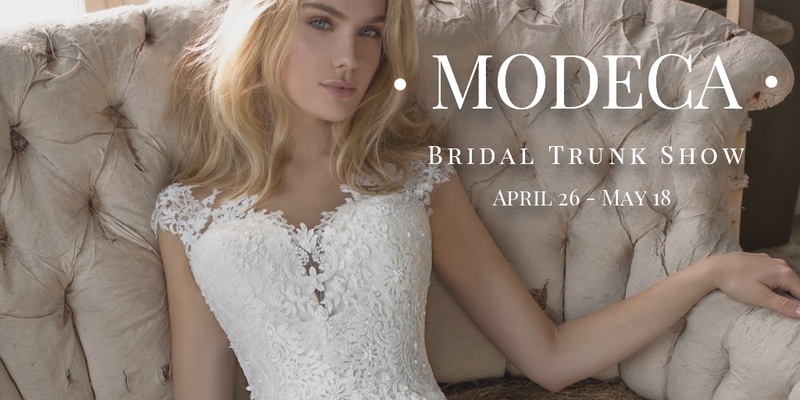 The Modeca Bridal Trunk Show featuring Dutch-inspired styles with delicate laces, beading, tulle, and more. You may just find the perfect gown for you! The Modeca collection was formulated in the Netherlands featuring Dutch styles and elements that create stunning vintage-inspired and boho-chic gowns. Modeca is filled with elegant designs perfect for the bride that wants a couture look without a couture price tag.